The future of the construction industry is an integration of technology in the field. 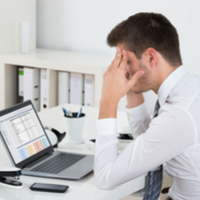 While the spreadsheet application you’re currently using may work fine for now, it’s probably not the best, most time- and cost-effective solution to common construction project problems. CAS systems are designed to save time, reduce costs, and improve field results on every construction project. DrawAlert prevents stakeholders from being caught off guard by common and costly errors on construction projects, like tardy payments, disputes, and more. The long-term savings on each project far outweighs the initial cost of CAS system access. Finding and implementing new technology for your next construction project is just half of the problem. Convincing upper management that a CAS system is necessary for the success of your next project is a beast all on its own. DrawAlert is designed for all stakeholders on a project, from owners to lenders, general contractors and subcontractors. Utilizing a transparent system that all parties have access to will benefit the team, the company, and future projects for years to come. When using DrawAlert, every step of your construction project is supported by our customer support team and unique concierge onboarding process. Typically, it takes only 15 minutes for a new project owner to create a user profile, generate the first project, and invite a prime contractor to the cloud-based platform. Of course! Typically, stakeholders see the initial benefit of DrawAlert after the first draw cycle on a construction project. DrawAlert doesn’t just return your investment monetarily, though: our surveys show that time savings for owners and general contractors averages between 75 and 100 hours on each mid-sized tenant improvement project. Plus, our peer-rated directory and scorecard helps to identify an attract best-practices subcontractors across all 50 states, further improving your field results. Because the construction industry is ever-evolving, we’ve designed DrawAlert to evolve with our customer’s needs. This year alone, we’ve added capabilities that improved document functionality including document revision tracking, as well as an improved layout for easier usability. We value our user community by providing software updates based on exactly what our customer’s want. It’s time to break up with manual spreadsheets once and for all. DrawAlert is the market’s leading construction administration software and aims to help you save time, reduce costs, and improve field results on all of your construction projects from here on out.